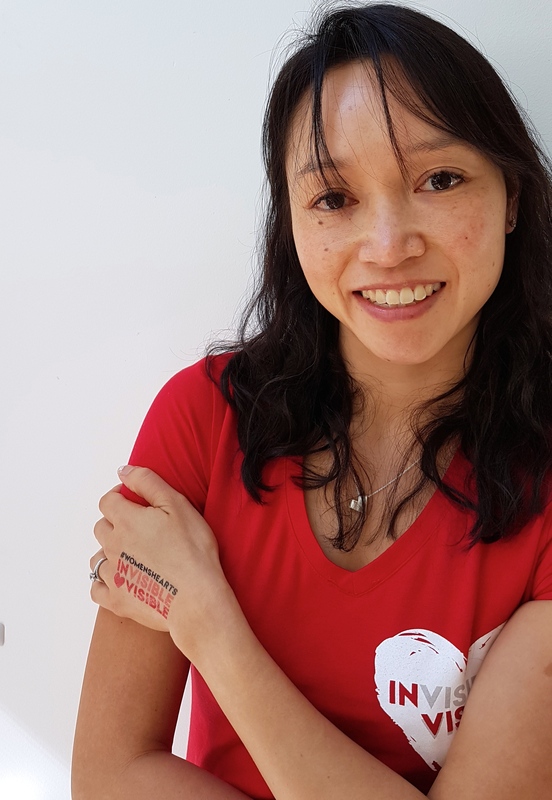 Heart Disease is the single biggest killer of Australian Women. It kills 3 times as many women than breast cancer. However awareness is still low, <40% of women know heart disease is the leading cause of death in women. every hour of every day, an Australian Woman dies of heart disease. Ie 24 female lives are lost every day! Shortness of breath, a cold sweat, extreme fatigue, dizziness, and nausea. 1 in 3 women have high blood pressure or high cholesterol: nearly half a million aged 30-65 have high blood pressure or high cholesterol without knowing it. A woman’s risk of heart disease increases after menopause and gradually equals that of men. < 1in 3 women have had a heart health check with their GP. The Heart Foundation recommend a ‘heart health check” for women >45yo. risk factors don’t just begin after menopause, they start to appear in the late teens and early 20s. For Women aged 18-44: 1in 10 have high blood pressure, 1in 5 have high cholesterol, close to 1 million are obese and >1 million are overweight. 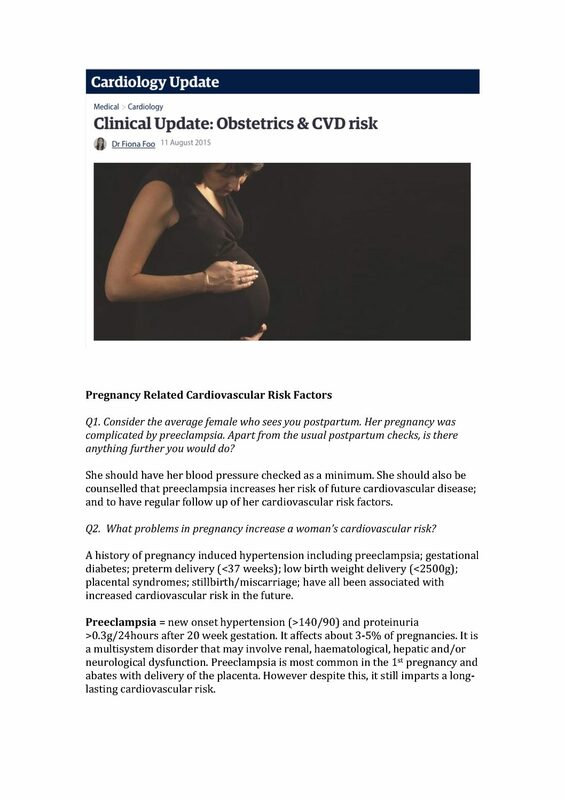 Obstetric Risk factors: preeclampsia, eclampsia, any hypertension in pregnancy, placental abruption, low birth weight <2500g, stillbirth/miscarriage, delivery <32 weeks and gestational diabetes all increase future cardiovascular risk. Despite the reduction in MIs in the general population, there has been an increase in rates of MIs in young women. They have worse outcomes compared to similar aged men: such as higher in-hospital and 30day mortality rates and higher readmission rates. They also have more risk factors, more comorbidities and a poorer health status than similarly aged men. Know the risk factors – females >55 should have a heart health check including measuring their blood pressure, blood sugar and cholesterol. Even young women are at risk of an MI, and certain pregnancy related complications, increase their cardiovascular risk. A female who has had a pregnancy related complication such as gestational diabetes or hypertension should be followed up regularly.